Whether you’re a weekend warrior or an aspiring tournament angler, you’ve got to sort through all the rods on the market. There are so many rods out there that it can be tempting for many to just buy the first thing that’s cheap and has good reviews. For beginners this might not be the end of the world. For most experienced anglers, however, this is blasphemy! So, how do we find the best baitcasting rod without spending a fortune? Even if we do buy an expensive baitcasting rod, how do we know it’s worth the cash? These are fair questions and I aim to tackle these for you as we progress through this review. Now I’m going to suggest a handful of top rated baitcasting rods so you can get started selecting the right one for you immediately! 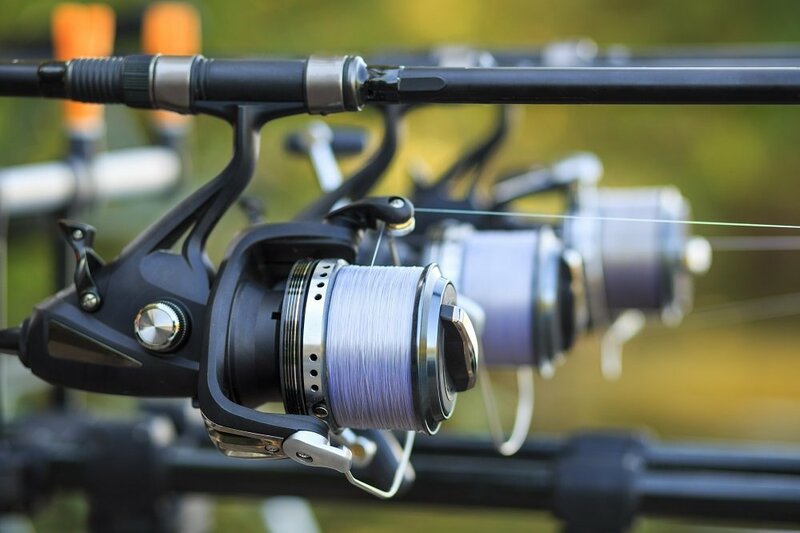 For more of my top gear recommendations, have a look through these popular Outside Pursuits guide links: Baitcasting Reels, Tackle Boxes, Fishing Kayaks. Here is a feature comparison of my top casting rods with our buyers guide below that will help you choose a good casting rod for you. So, what are the best fishing rods for baitcasting this year? I’ll lay out an array of choices for you so that you can get started selecting the right one for your needs! 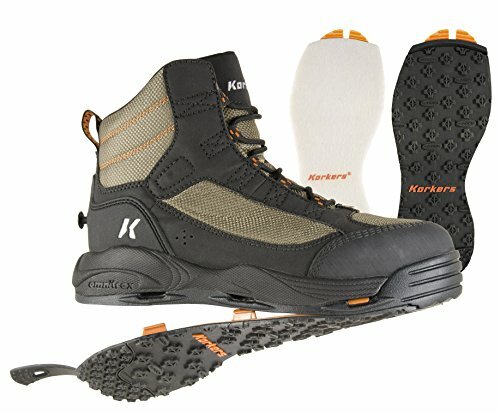 KastKing is a well-known brand with a reputation for quality products and our Editor’s Choice for the best baitcasting rod. 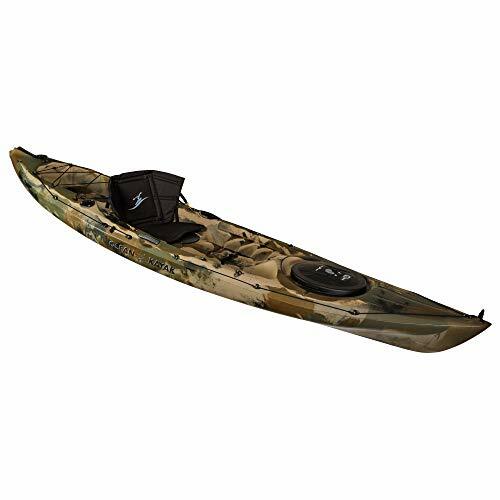 The rod is a one or two-piece design made from carbon fiber and has a long handle and a trigger grip for baitcasting reels all for a great price. Of all the features of this particular rod, I love that it comes with different tips. Of course, if you get the on-piece rod version then there is only a single action. 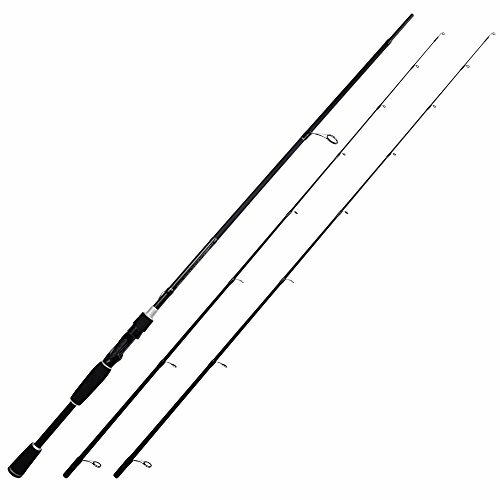 However, choosing the two-piece rod version means you get two tips with different actions for the price of one. Not bad. Your options are either medium and medium heavy or medium and medium light. Just make sure you keep track of which is which after it arrives! I do have to say that I love the lifetime warranty on the pole ends. If you mess one up they’ll get you a replacement. That’s a solid deal on a rod this affordable. Fuji O-Ring line guides are great for the value of this rod. They’re both flexible and low drag which makes them a best of both worlds option. Many consider these line guides among the best available today. Best For: Anglers looking for tons of options on an affordable baitcasting rod system with quality components. If you’re looking for a rod with a legendary name and tons of options, look no further. The Ugly Stik as as versatile as it is famous. Available in several configurations, you should be able to find the right rod setup here. Ugly Stik is known for a few things because of their long standing popularity. One of them is the clear fiberglass tip which gives this rod an improved power and sensitivity. One of my favorite things about this rod is the long, foam handle that extends far down the shaft. There’s so much room to really get leverage and grip the rod the way that you want. It’s an amazing feature I wish I saw on more rods. Ugly Stik rods are proud to call themselves “nearly unbreakable” which is thanks to a fiberglass / graphite combination. This gives the rod a mixture of characteristics that balances out to a medium power rod. 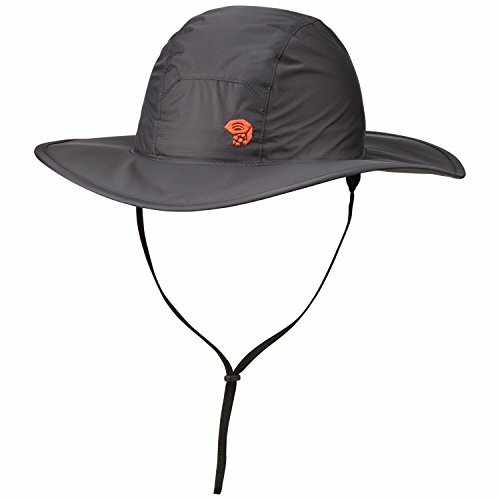 Available in sizes from 6’ to 7.5’ and 1 or 2-piece construction. Best For: Ugly Stik lovers looking for a powerful and indestructible medium rod. Do you really need a camo fishing pole? Definitely not. Is it still cool? Yup. Like some of our previous rods reviewed here, this one is a two-piece rod that comes with different tips. These different tips have various flex and power rating so you can tailor the rod to your needs without having to carry multiple rods. Not a bad way to gain some extra versatility. Like the Ugly Stik I enjoy the long handle on this rod. Unlike the Ugly Stik, however, they don’t include EVA foam through the grip. But, that keeps the rod lighter in the end with much the same utility value anyways. It’s up to your preference which handle type you prefer. All of the 7 total line guides on this rod are made to be corrosion resistant. They’re coated to improve the overall drag and friction while still staying tough and strong. You’d really have to try to bend or break them, but it is still possible to do so. One of the better qualities of this rod is the extremely low price tag. Best For: Budget minded anglers who want a long, medium power carbon fiber rod. 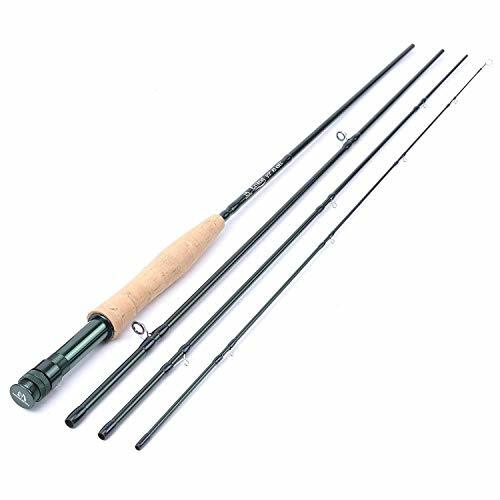 This two-piece rod is available in every power and action your fishing dreams can conjure up. There are no less than 11 different combinations available that you can choose from to meet your needs. Okay, I know that stainless steel isn’t the ultimate in line guides but hear me out. Stainless steel is corrosion resistant. It’s also affordable. That’s why this rod comes in at one of the lower price points on our list. It’s perfect for keeping cash in the wallet while still having options. Since the rod can be picked out from any of the available 11 different power and flex ratings, you can really tailor it to your needs. The large, EVA foam handle is pretty standard but the reel seat is an upgrade in my view. I love that the reel seat is made from stainless steel so that it won’t deform or break on you. Many cheap reel seats are made just from plastic which I’ve seen deform over time. The stainless steel hood on this one will help spread out the stress from casting and landing fish. Is this the ultimate baitcasting rod in terms of sheer performance? No. But it might be one of the best “bang for your buck” baitcasting rods on our list. Best For: Reliable features in a customizable package with a price that is hard to ignore. Last on our list is a simple, effective baitcasting rod from an increasingly popular brand. 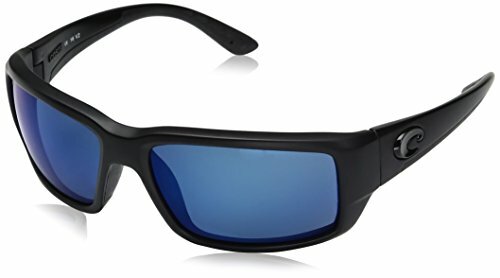 Piscifun is more and more known for bringing good fishing products to market at an irresistible price. That’s not to say it’s a cheap toy, though. Again we have a stainless steel reel seat which I like. Honestly though I’m not totally floored by the reel seat design on this one. It looks like a weak point but users rate it highly so I’m not too worried about it when all is said and done. I won’t ding this rod for it. Similar to the Ugly Stik, this rod has a full length EVA foam handle. I personally like this feature because it allows more personal preference and grip distance. Unlike the seperated handles of other rods, you can put your grip wherever you want. Again we have stainless steel line guides but this time Zirconium inserts help reinforce them. While it’s not top of the line, the price tag isn’t going to give you a nosebleed, either. This two-piece rod can be collapsed for transportation. Because of the medium length it’s a versatile rod. That, combined with the medium heavy power, makes it a great all around rod. Best For: Beginners or those looking for an all around rod that can fit anywhere in the arsenal. Now I’m going to guide you through the finer points of baitcasting rod selection. Let’s dive in to some criteria you can use to select your next baitcasting reel! This is one of those “obvious” features that has to be correct if you hope to use a baitcasting reel with your rod. 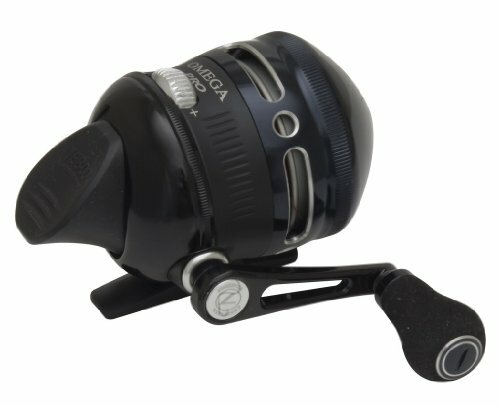 Baitcasting reels are designed to sit atop the rod and therefore you’ll need a top seated rod for your fishing. Reel seats are the little slots where the dovetail of the reel fits. You then clamp the reel into position. Most baitcasting rods also feature a trigger grip for rod management with the baitcasting style. This isn’t a universal rule, but it’s the commonplace option among baitcasting rods. Line guides, if you’re not aware, at the little metal eyelets on the rod which hold and guide your fishing line down the length of the rod. Line guides are responsible for controlling the fishing line as you cast and retrieve. They’re also a major source of friction for line unspooling from the reel. On baitcasting rods you’ll be looking for line guides with decreasing size the further they are from the reel seat. Unlike spinning rods, however, the line guides on baitcasting rods won’t be as large because baitcasting reels release the line a little straighter. Durability is a major concern because stiff or fragile line guides can snap if mishandled or during a hard fight. Some line guides are made from springy metal which can be fully bent and still snap back into position. Other line guides, like ceramic guides, are fragile but extremely low friction. Ceramic line guides can help increase cast distance by trimming down on friction as the line unspools during a cast. This also makes reeling in easier and more efficient. Most line guides feature some combination of the above two features. If you’ve bought or researched fishing rods at all, you’ve seen different words for power. Rods go by this general system of ranking for power. Lighter rods have less power and heavier rods have more power. When considering what type of rod you need, the most important factor is your target species. They type and size of fish you’re intending to catch determines what power of rod you’ll want to have in your arsenal. Small fish require lighter rods and larger species require heavy rods. You’ll have to do some research on your type of fish to find out what kind of rod you should consider for them. I won’t list every type of fish and their appropriate rod in this article. Rod action and rod power are not the same thing, though they’re often mistaken. It is possible to have a slow action heavy rod though unusual. Action really just refers to the total amount of bend in the tip of the rod when you pressure the rod or cast. The most of the rod that “deflects” or bends during these situations, the slower the action. Rod action is often determined by the type of bait you’ll be using. For instance, slow action rods tend to set hooks slower and therefore allow fish to get the hook further into their mouth. Fast action rods set faster than slow rods because the rod engages sooner on the set. You don’t have to move the rod as far to get movements in the hook. Your understanding of lure types and target species will eventually help you determine exactly what combination of power and action is ideal for you. Rod action is sometimes also called taper. Because the taper of the diameter of the rod throughout its length determines rod power, these terms could be seen as synonymous to many anglers. Neither is wrong. Video: How to cast with a baitcasting rod. Graphite is probably the most common high-end material although it’s hard to say for sure. Because often rods are made from many layers of graphite and/or fiberglass. These materials can be combined to make rods with tons of qualities and characteristics. Fiberglass tends to be recognized as a superior choice for toughness and durability. For whatever reasons fiberglass rods just take a beating a little better than graphite. However, graphite tends to produce superior fast action rods. You’ll have to choose the material yourself but I wouldn’t lose sleep over it. Rod manufacturers choose the best materials they can for the qualities of the rod you want. There’s not much getting around it. Q: How long of a rod should I use? A: Generally I tell people to use a 6’ 6” or 7’ rod if you don’t know what size you want. It’s hard to go wrong with a seven foot rod because it’s a great general length that can be used for almost anything. Rods shorter than 6.5’ can be difficult to cast longer distances but they gain the advantage of agility. If you’re crawling through the bush to get to your fishing spot, you’ll be glad you had a shorter rod! Or if you’re fighting your way up a muddy bank overgrown with branches, a small rod can be a lifesaver! At the same time, while smaller rods are more manageable, it can be a challenge to cast from the bank. 7’ rods give that little bit of extra reach so you can get out into the river, up against the dam, or into structure. Q: Can I put any casting reel onto any casting rod? 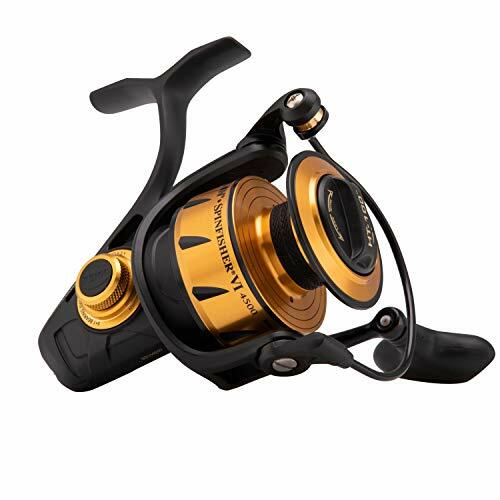 There are two main types of casting reels. 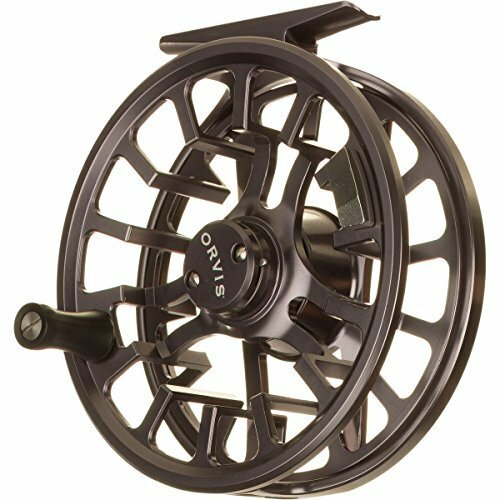 Any of these two types of casting reels can be attached to any casting rod. So, how do you know if you’re looking at a casting rod vs a spinning rod? Now that you’re equipped with this information you can go into the garage and sort through all 20 of grandpa’s old rods and figure out which ones you can put a baitcasting reel on! Just because a rod started its life with a spincasting reel doesn’t mean it can’t be converted! Q: What is a good beginner baitcasting rod? A: If you’re new to baitcasting or you’re giving a gift and you’re not sure where to start, I’ll try to be a bit of a guiding light. For beginners or general use, I usually recommend staying in the middle of the spectrum. This means a rod with medium power or medium-light power and medium action. Most of my fishing is bank fishing for bass and pike. To do that I usually keep my lures at or below the ½ ounce mark so a medium or medium light power rod does well for this. Too much power and the rod will be overly-stiff in this range. As for rod action, you’ll often have trouble finding it listed for beginner or entry-level rods. With enough searching and digging, however, you’ll be able to sort some out. Brands like Lew’s tend to have good information for their rods, even on the lower end. It’s pretty hard to go wrong with a beginner rod if you focus on medium to medium-light power for most inland sport fishing in North America. Q: What kind of fishing is a baitcasting rod used for? 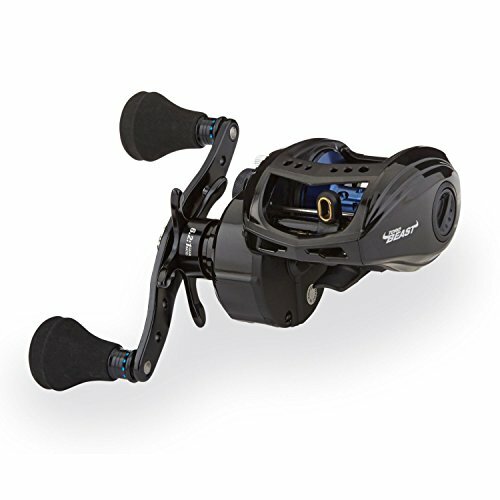 A: Baitcasters are honestly good for any fishing that a spinning rod or spincast rod would be used for. Of course, keep in mind that there’s a big difference between a low-profile baitcaster and a large baitcaster used for trolling. Low-profile baitcasting rods are used heavily (almost exclusively) in bass tournaments and pro fishing. 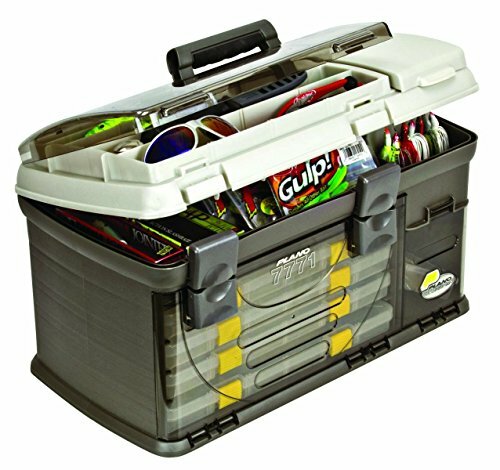 Meanwhile larger full size baitcasters tend to see use in downriggers and coastal or offshore fishing. When it comes to the rod itself, there are hundreds, if not thousands, of different types of rods. Each lure, retrieve style, and target species pretty much has a different ideal rod type. Personally, I don’t have enough money to buy a new rod for all these different uses, so I try to split the difference and make do with a more general-purpose approach. Q: How long should the grip be on my baitcasting rod? A: Grip length actually matters a lot more than you might imagine at first. Grip lengths range wildly from short and stubby to wide for lots of leverage. Generally, if you’re fishing a lighter bait with a finesse technique you’ll probably want a shorter rod grip length. Doing twitching and jerking motions with your wrist is hard to do when you have to hold the rod away from your body to make room for the grip! Similarly, if you’re chucking heavy lures, trolling, or planning on fighting some big game fish you’ll probably want a longer rod grip. Longer grips help with leverage which makes it easier to hold on and drag up a big fish (or a pile of weeds if you’re me). When you’re ready to buy your next baitcasting reel, make sure you revisit the “how to choose” section. Give it a rough read over before making a final decision. Half of the important factors of choosing the right rod for you are in knowing what you’ll be fishing for and how. Target species and bait are the most important factors other than fishing technique for choosing the right rod. Once you’re sure, start with the rods I’ve outlined on our review list. Of course, there are other rods available. I’ve made sure that the baitcasting rods on our list span the range of prices and quality so there’s something for everyone. I hope this guide was helpful for finding the best baitcasting rod to fit your needs. If you want to comment or recommend a rod I didn’t include, please use my contact form to get in touch.